As we celebrate A Bemidji State Century and the 100th birthday of our “university in the pines,” we also find ourselves looking back to 1969 — BSU’s 50th anniversary year — and discover that year as a remarkable turning point in our history as well. We experienced three significant events in 1969 that helped define our second half-century: the first year of intercollegiate women’s athletics, the opening of the Hobson Memorial Union, and the founding of the Madrigal Dinners. 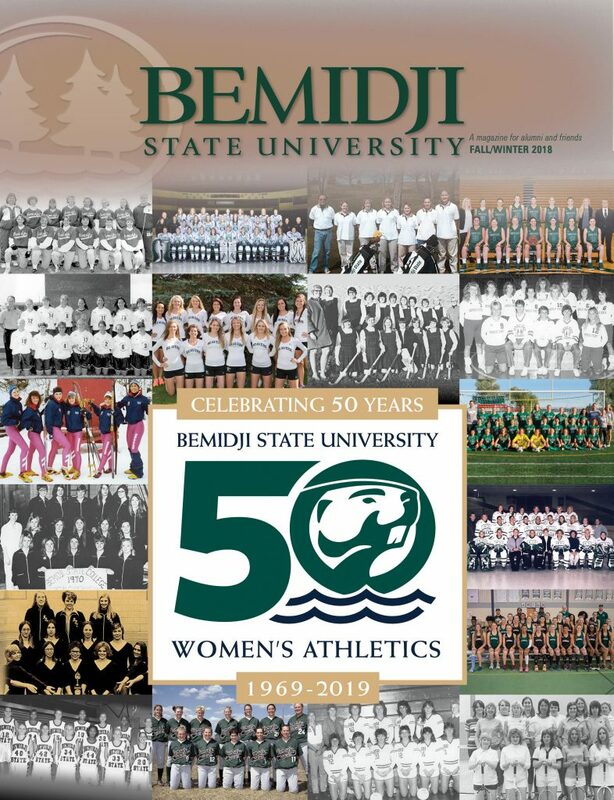 I invite you to explore this month’s cover story, which recaps the remarkable 50-year history of intercollegiate women’s athletics at Bemidji State. We launched a year-long celebration of this anniversary during Homecoming by recognizing the tireless efforts of four remarkable women. Their work founded a program that helped women’s athletics grow from its roots as a non-competitive, mostly social activity into today’s well-rounded, successful NCAA Division I and II athletics program. We also reflect on a record-setting season by the BSU women’s soccer program. I could not have been more proud as head coach Jim Stone’s team completed an unbeaten regular season en route to our first-ever NCAA Tournament victory. As we recognize these milestones, it’s easy to find the stories that will define Bemidji State University for our next 50 years and beyond. These stories are being told through our students — in the real-world research experience being offered to a group of biology graduate students in partnership with the Minnesota Department of Natural Resources; in our undergraduates who balance responsibilities for family and extracurricular activities against rigorous academic work; and in the fresh perspectives of our newest students. Each of these stories remind us that while the years may tick by, our mission to guide our students toward inspired lives will never change. As an alumnus, you have your own stories to share and your own place in Bemidji State University’s rich history. The impact you make on your career and community guides our current students toward their own successful futures. A group of nearly 100 former athletes, coaches, family and friends packed into the American Indian Resource Center’s Gathering Room to help Bemidji State University kick off the 50th birthday of intercollegiate women’s athletics in style. Bemidji State research team helps Minnesota DNR answer difficult questions about Minnesota’s environment. The Bemidji State University soccer team got a taste of success and recognition in 2017. But in the competitive environment of collegiate athletics, a taste is never enough — it only serves to motivate. A unique new course at Bemidji State University is allowing students to merge music, Native American culture and technology through an in-depth exploration of traditional native flutes. Beatrice Kjelland, a track and field sprinter from Park River, N.D., believes in creating more diversity on campus and aspires to be a pediatric nurse and a good mom. Jackie Allen, of South Dakota’s Flandreau Santee Sioux Tribe, wants to become a nurse and, eventually, a health care administrator to deliver better care options in Native American communities. Sagyan Khadka, a computer information systems major from Nepal, witnessed the aftermath of the 2015 Nepal earthquake and wants to improve communications in remote parts of his country to reduce isolation in the face of disaster. Homecoming 2018 was an unforgettable affair as alumni and friends returned to campus to celebrate a Bemidji State century. An evening honoring special alumni and friends of Bemidi State University. Minnesota State Chancellor Devinder Malhotra met with more than two dozen local business and industry leaders and area legislators at an Oct. 5 stop in Bemidji as part of his state-wide Partnership Tour. Scott Guidry, Department of Music; Misty Wilkie, Department of Nursing; and Nicky Michael, of the Indigenous Studies program headline this issue’s Faculty & Staff Achievements. Beaver Hockey is at the center of the Minnesota Wild’s 13th Annual Hockey Day Minnesota, presented by Wells Fargo. Lamija Bradaric believes she can be a voice of diversity in Minnesota, a place that became her home in 2000 after her family fled war-torn Bosnia. Dan Billett of Highlands Ranch, Colo., left home in seventh grade to spend a year with his grandfather in Detroit where he could play hockey with better teams. Chelsey Jourdain is a junior at BSU and is working toward an elementary education degree. She aspires for a future teaching on the Red Lake reservation and serving the people and the place where her grandfather devoted his life. Bemidji State’s traditional Convocation Ceremony leads this issue’s Campus Happenings photo gallery. 2019 Distinguished Alumni nomination reminders, new officers of the Alumni & Foundation Board of Directors and opportunities to engage with local and future alumni, headline this issue’s Alumni News. More than 250 people gathered in Bemidji’s Sanford Center Ballroom on Oct. 5 to honor Bemidji State’s 2018 alumni award recipients. A full slate of events is planned for Beaver Athletics’ annual Athletic Hall of Fame Weekend, Feb. 15-16. If education helps open doors, a scholarship endowed by Will Antell ’59 is providing Bemidji State University’s Native American students with keys to those doors. Jim Etzel ‘02 has turned his passion for the outdoors, the environment and sustainable agriculture into a business. To understand his operation, however, you literally have to get to the roots. As a former farm girl, restaurant owner and newly-published author, Lonnette “Lonni” Whitchurch’s recipe for success is to follow one’s passions. Check in with more than 70 Bemidji State alumni who graduated between 1964 and 2018 in this issue’s Class Notes. An original illustration that presents a fanciful version of Bemidji State’s journey across the decades is available for purchase by alumni and others. It is featured on the cover of this edition of Bemidji State University magazine. 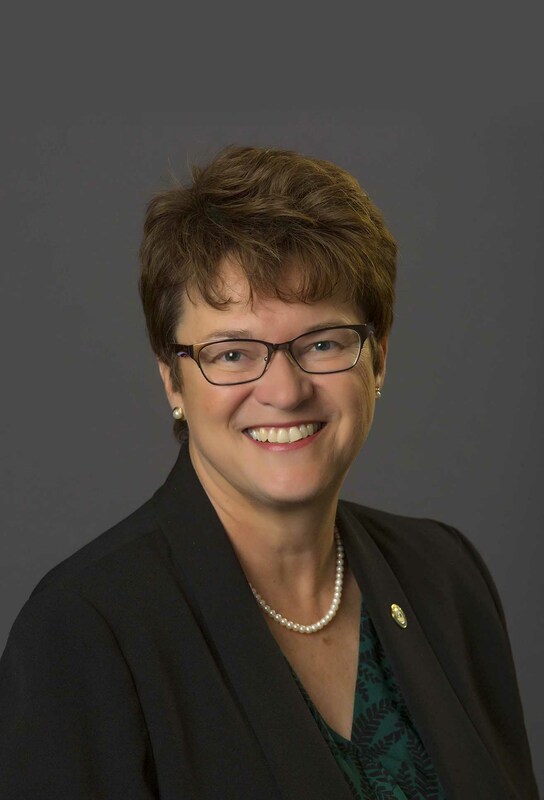 As we close out 2018 and usher in 2019, I’d like to thank all our generous alumni and friends who impacted Bemidji State University with their generosity this past year. The President’s Society recognizes the university’s most generous contributors, based on lifetime/cumulative giving to the Bemidji State University Foundation. Members include individuals, families and organizations. The Legacy Society recognizes and honors those alumni and friends who have provided for Bemidji State University in their wills or have exercised a planned giving option through the Bemidji State University Foundation. 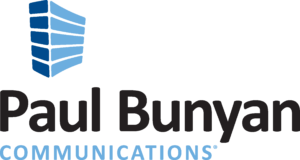 BSU students now have a convenient place to charge their smart phones, tablets and other mobile devices thanks to a portable charging station recently installed by Bemidji-based Paul Bunyan Communications. A founding member of Bemidji State hockey, John Emkovik ’49 laid the groundwork for the program as a student-athlete by helping rebuild Bemidji’s curling arena for hockey use. His wife and daughter wife endowed a scholarship in his memory. Richard and Evelyn Krummel are familiar names for Bemidji State students who studied German from the late 1960s through 1990. BSU Alumni & Foundation Annual Report, Fall/Winter 2017. Mark your calendar’s for these important Alumni & Foundation dates.